During a wet and windy January afternoon, I was indulging in fantasies about summer, hot weather and holidays. Pulling me back to reality was the realisation that I’m not some jet-setting socialite but a university student lacking in work experience and fast approaching the end of their academic career! I only had one year before I’d be forced to crawl from under the comfort blanket that is student loans, friendly lecturers and campus life. I knew that in the increasingly competitive job market, real-world job experience within my degree field of mathematics would be highly beneficial. Reluctantly, I changed my internet search from beach holidays to internships in Scotland and soon after I stumbled upon an ad for a 13-week data science internship at FreeAgent. Here’s what happened next! The more I read about the position and the company, the more attractive the prospect of spending my summer working became. I could tell there was something different about FreeAgent and the job itself seemed like a perfect fit. During university I have become acquainted with a number of- predominantly mathematical based- programming languages, and found I both enjoyed it and was quite competent. There was, however, significant room for improvement and the job description detailed several languages in which I’d had no experience. I therefore knew the application process alone would be a challenge, but there’s nothing I love more than a steep learning curve and the chance to test my own abilities! So, after swiftly typing up a cover letter, I clicked “apply”. As I expected, the interview process was exacting; it included a programming task, a presentation of my results during a telephone interview and a final interview a few weeks later. I was delighted when my position was confirmed by my soon-to-be team lead, Dr. Dave Evans, in April. 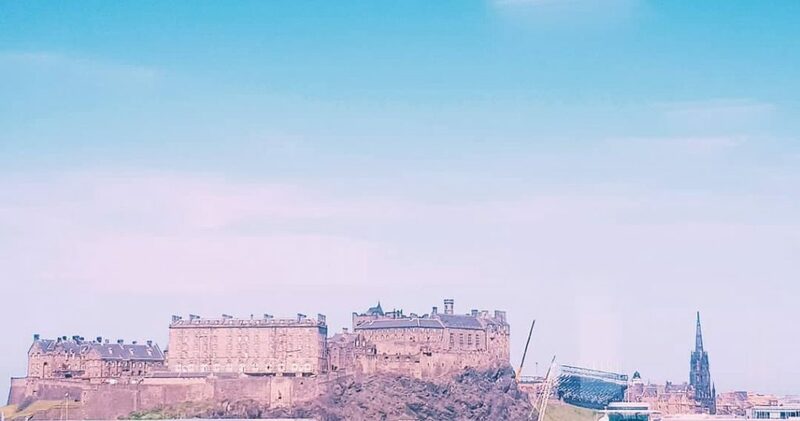 I confirmed my start date as June 4th and spent the months between wishing away exam season and daydreaming about my summer in Edinburgh, beach holidays long forgotten. When June 4th arrived, I awoke bright and very early; at that point I hadn’t found accommodation in Edinburgh, so I embarked on the commute from Dundee, which continued for the subsequent three weeks. 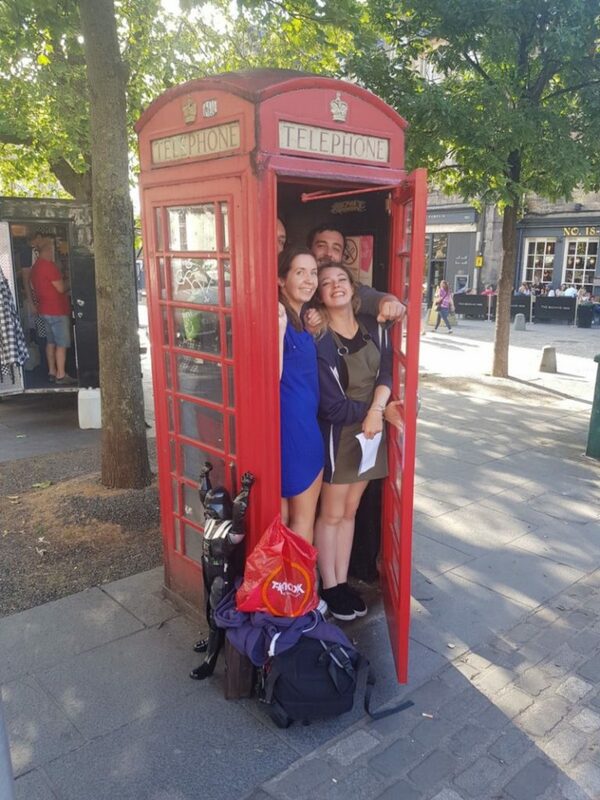 This was probably the biggest challenge I faced, but once I’d found suitable accommodation I was able to fully engage with life in Edinburgh. 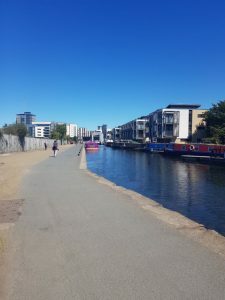 Living alone gave me a lot of time to explore the beautiful Union Canal, next to FreeAgent’s offices, and discover hidden gems tucked away in Edinburgh’s winding streets. 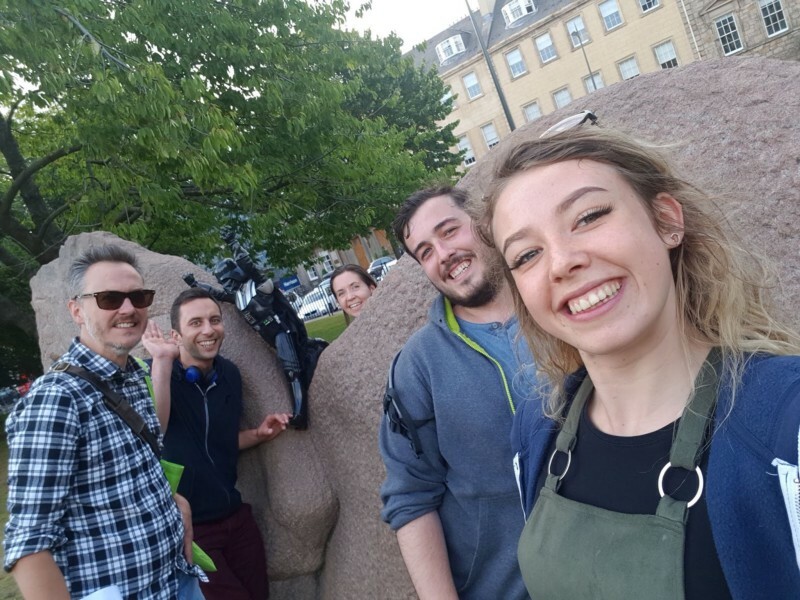 By week 10 of my internship the Edinburgh Fringe Festival was in full swing. I’d never been to the Fringe before so if, like I was, you’re unaware of the scale of the festival I’ll give you some figures. In 2017 there were 53,232 performances of 3,398 shows, with over 2.6 million tickets issued. With it being the world’s largest arts festival, the entire city takes on a new energy, which was amazing to experience. I had an inkling that FreeAgent was a bit different from other companies when I applied, but it took working there to appreciate just how special the company is. I arrived on my first day into a bright office, spanning two floors and boasting fantastic views of Edinburgh and the surrounding areas. My desk, situated behind the sprawling balcony, has a perfect view of Edinburgh Castle and Arthur’s Seat. My first week was spent acclimatising to the working environment within the office. I was pleasantly surprised by how friendly everyone was; there’s an atmosphere at FreeAgent that encourages you to interact with everyone, even those you might not get the opportunity to work with. I especially enjoyed integrating into the data science team and getting to know Dr. Dave and our other colleagues, Dr. David (it’s as confusing as it sounds!) and Charlotte, a fellow intern. I also witnessed the interview process, from the other side of the desk, when our newest team member Owen was recruited as another permanent data scientist towards the end of my internship. There are many traditions that contribute to FreeAgent being such a special place to work. Many of them are exclusive to our team, and the vast majority are food related! 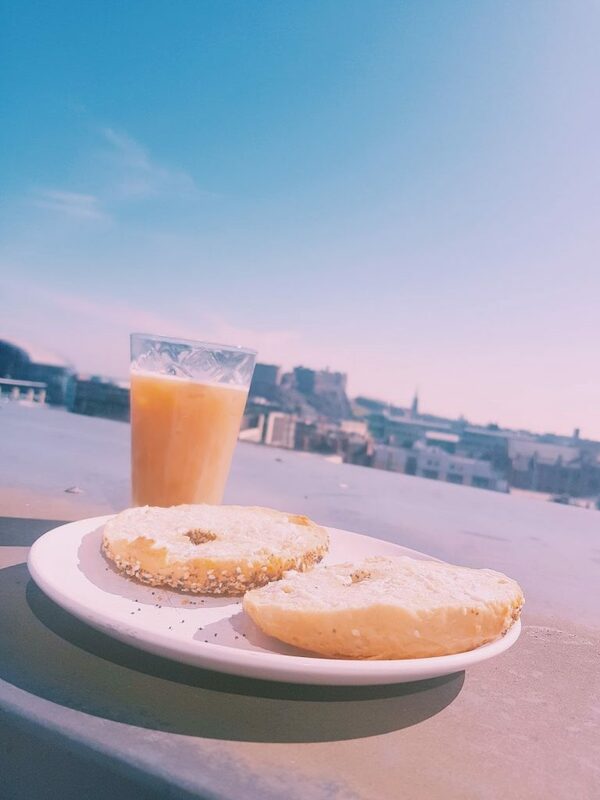 The data science team breaks up the working week with trips to the ‘The Counter’, a canal boat serving fantastic coffee and bagels, on a Thursday morning. One of my favourite things about FreeAgent, however, is the company-wide ‘town hall’ talks held every Friday afternoon. The whole company sits down with a beverage (alcoholic if you so please! ), and listens to presentations from other members of staff about a wide range of fascinating topics. FreeAgent also holds many social activities outside of work that are not to be missed! 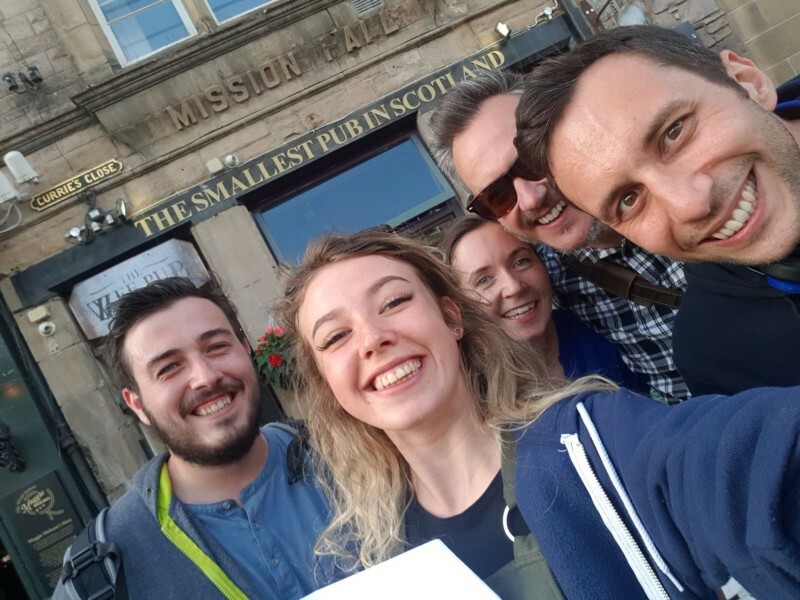 July’s scavenger hunt was a personal favourite: teams of five spent two hours running around Edinburgh completing tasks and taking photos to raise money for charity. It was fabulous fun and just another thing that helps cement FreeAgent’s wonderful company culture! Life as an intern is fascinating: you come into your new place of work with a lot to learn in just a handful of weeks, and there’s a desire to leave with the feeling you’ve made a significant contribution to your place of work. I found a benefit of such a short work placement is that I had a focus. I was tasked with producing a dashboard that would help FreeAgent staff to better understand our accountancy practice clients and enable our marketing and sales departments to offer more targeted and meaningful advice. The goals, context and impact of the project were outlined at the start of my internship so I always knew what I was working towards. This, along with FreeAgent’s agile approach to working and some amazing productivity tools such as Trello, all helped me stay focused on the task at hand. Another benefit of being an intern is how much you’re taught in such a short period of time. I was determined to learn as much as possible, not only about data science, but also how to conduct myself within a professional environment. I made a conscious effort to contribute and ask as many questions as possible. This allowed me to have an input in meetings with important accountancy practice customers within my first week, and led to me standing up at town hall presenting my project to the entire company by my third. The only downside of an internship (bar the fact I can’t stay here forever!!) is the time constraint! I found the more I got into my project, the more invested other people became and the more I wanted to develop it. I had to learn to prioritise requests and be upfront and realistic about what I could complete. 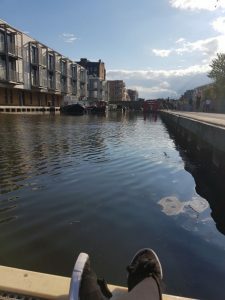 Even though the time constraints were often inhibiting, they were also beneficial in helping refine my time management and organisational skills. As I approach the end of my internship, I’m starting to reflect on what I’ve achieved in my time at FreeAgent. I’m delighted to say that I’ve received a lot of positive feedback on my project and it’s extremely rewarding to know that my work will make an impact on the business. I came to FreeAgent with basic knowledge of programming but it wasn’t the strongest part of my application and there was significant room for improvement. I learnt the fundamental parts of SQL within my first week and after 13 weeks I’m confident in my ability to code in a previously unknown language. I’d used Python for mathematical based problems during my university studies, however during this project I’ve become comfortable applying Python to a diverse range of situations. To create visualisations of the data for my project, for example, I used a Python library named Bokeh. This library focussed on interactivity, the increase in which is a common trend in advancing data science resources and I enjoyed this element of Bokeh. The minor drawbacks of Bokeh, predominantly the inability to customise, also meant I had the opportunity to work briefly with CSS, something else I’d never done before. My final project is a dashboard filled with graphs and tables, detailing a specific practice’s interactions with FreeAgent and how these compare to the patterns of behaviour in general. I’ve worked closely with all departments in FreeAgent in order to produce something that will be both usable and beneficial. The dashboard has been updated and refined with each person’s input and I feel the final product reflects the amount of hard work gone into it. The insecurities I felt prior to my first day at FreeAgent have been entirely replaced with a new found assuredness in my own ability. I have learnt so much: not only am I more confident in data science and programming, but I’ve had a full induction into the industry I wish to pursue a career in. FreeAgent accommodated me wherever possible to get exactly what I wanted out of my internship and I’m proud of the work that I’ve produced and the feedback I’ve received. This experience as a whole has reaffirmed my degree and career choices, as well as opening my eyes to paths I’d not previously considered. Working at FreeAgent over the past 13 weeks has been an experience I’ll never forget and I’d like to take this opportunity to thank every member of staff here, but especially the data science team, for teaching and supporting me, giving me constructive feedback and most importantly making my time here so enjoyable!